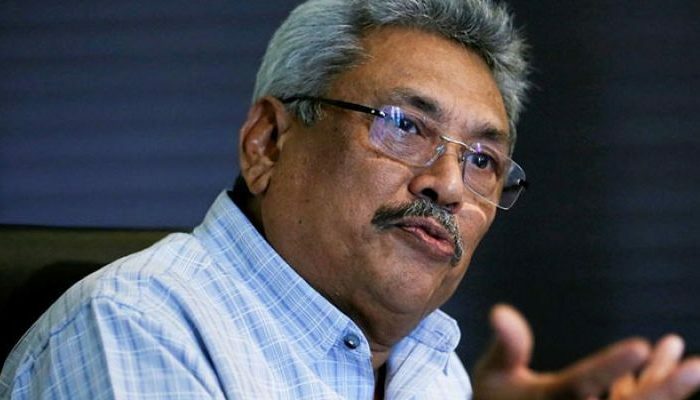 Gotabaya Rajapaksa, Sri Lanka’s former Defense Secretary during the nation’s tumultuous civil war a decade ago, is being sued in two cases in a United States federal court in the Central District of California over his involvement in incidents of murder and torture during his tenure. Gotabaya Rajapaksa is the 69-year-old brother of Sri Lanka’s former president, Mahinda Rajapaksa, who served from 2005 to 2015. Both Gotabaya and Mahinda Rajapaksa are still active in Sri Lankan politics, so much so that Gotabaya has been considered as a potential Presidential candidate. Mahinda Rajapaksa currently serves as the Leader of Opposition in the Sri Lankan Parliament. Last December, he was unilaterally nominated to serve as Sri Lanka’s Prime Minister by Maithripala Sirisena, Sri Lanka’s current president, in an attempt to oust Prime Minister Ranil Wickremesinghe from office. Despite his family’s current prominence in Sri Lankan politics, Gotabaya Rajapaksa has been facing allegations of brutality for the past decade, as he allegedly had an instrumental hand in crushing the rebellion of the Tamil Tigers during Sri Lanka’s 26-year civil war from 1983 to 2009. Rajapaksa served as the head of Sri Lankan military and police forces throughout the civil war, both condemned by the United Nations and other human rights groups for their human rights abuses. The United Nations estimates that approximately 40,000 civilians were killed in Sri Lanka’s bloody civil war. Rajapaksa has denied all allegations made against him. The International Truth and Justice Project (ITJP), a South Africa-based organization, in partnership with U.S. firm Hausfeld, and human rights lawyer Scott Gilmore, filed a civil damages case on behalf of Roy Samathanam against Rajapaksa, who is a joint Sri Lankan-U.S. citizen. Samathanam alleges that he was detained in Colombo, Sri Lanka’s capital, in September 2007 by Sri Lanka’s Terrorism Investigation Division, which reported directly to Rajapaksa. Samanatham was visiting his wife in Sri Lanka when he was detained. In this video, Samathanam details the physical and psychological torture he underwent while in custody, forcing him to sign a false confession in order to secure his release in August 2010. The United Nations Human Rights Committee has already ruled that Samanatham must be compensated for the injuries he suffered in detainment. The second case being leveled against Rajapaksa was filed by Ahima Wickrematunge on behalf of her father, Lasantha Wickrematunge, who was shot on his way to work in 2009. Lasantha Wickrematunge was a veteran journalist who spoke critically of the Sri Lankan government during the civil war and foresaw his own murder in an editorial published just three days before his death. Since Rajapaksa is expected to renounce his U.S. citizenship in the coming months to secure his presidential bid, the ITJP and its partners believed that this was their last chance to try him in a U.S. court proceeding. Gilmore won a huge victory earlier this year in a civil case against the Syrian government, wherein a court in Washington D.C. called for the government to pay $300 million in damages for the killing of Sunday Times journalist Marie Covin.